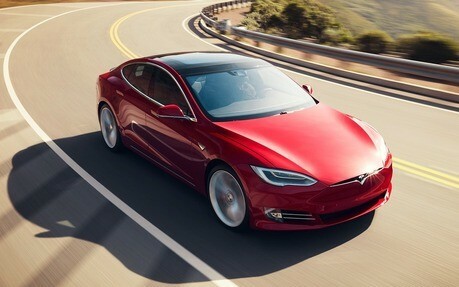 As a Tesla owner, was there anything disappointing about your experience or product? Disappointing is probably the wrong word. I bought my Model S about a month ago after doing a lot of research on the car so I was already aware of many of its shortcomings. However, since you asked these are the things I think Tesla could do better…. If you are coming from another high end car, particularly from a German manufacturer (I previously owned an Audi A6) some of the bits are noticeably lacking in quality. Nothing that you’d notice from the driving seat but things like the parcel shelf and luggage covers are not befitting a £70k+ car. I’m not sure if this is just my car or a problem affecting all Model S’ but the window wipers are crap, they just do not clear the screen of water as well as they should and always seem to leave a smear right in front of my face. Some of the fixtures and functions you’ve become used to in other cars just aren’t there. There are no door bins front or rear (although there is plenty of storage in the centre console), there are no grab handles above the doors and a particular annoyance of mine is you can’t open or close the windows from the key fob or app. All that being said, after a month of ownership I will NEVER go back to a combustion engined car. The minor irritations of the things I mentioned above don’t even begin to make a scratch in the advantages Tesla has. Tesla has ruined all other cars for me, I grew up a a petrol head, I’ve owned well over 100 cars and used to like nothing better than going around dealers and auctions seeing what was about, since the Tesla I’ve completely lost interest. The ease of the car to drive is astounding, the autopilot is superb, the infotainment system is another level to anything else I’ve ever used, the power delivery is impossible to describe to someone who’s used to conventional cars and never been in one and the silent drive train is an absolute joy. Driving other cars now is like stepping back in time. I’m sure in a few years the old guard will start making EV’s to compete, and it’ll be an exciting time when they do, until then there is nothing like a Tesla. Source:Disappointing is probably the wrong word. I bought my Model S about a month ago after doing a lot of research on the car so I was already aware of many of its shortcomings.